I love me some wings! We have a turkey deep fryer that we used for Thanksgiving and since there is so much costly leftover oil, I keep it around and fire it up a few more times. Most of those coincide with football watching and fried finger foods. This was a deviation from classic buffalo or garlic parm which we have made before and as much as I love good ol hot buffalo I welcomed some new flavors. This recipe was cool since it uses fresh ingredients like ginger and garlic. I made it twice and achieved more of a thick sticky glaze the second time around and no dipping sauce was needed. 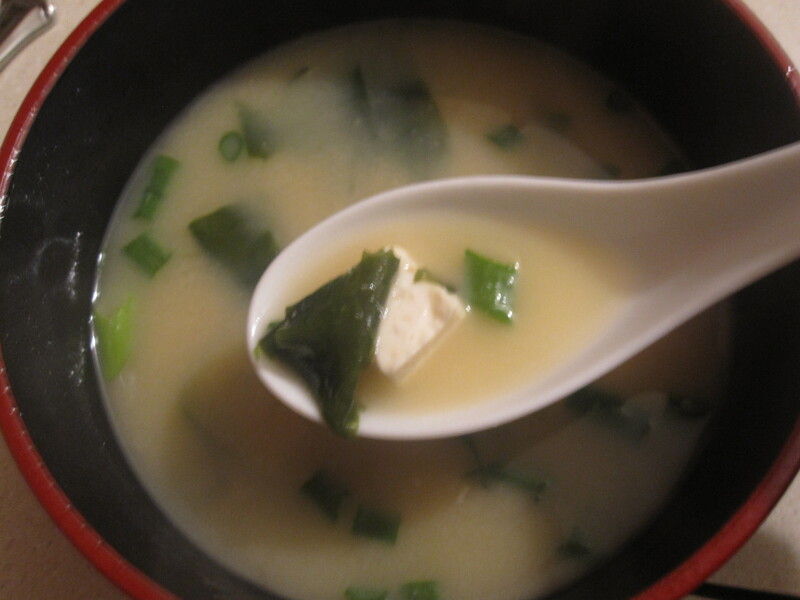 I LOVE miso soup! I found a great, easy recipe and was able to recreate one of my favorite restuarant dishes at home. It takes very little time to prepare and if you are considering throwing a sushi party any time soon, this would be a great way to kick things off. I am so glad my taste for kale has returned, because it is such a delicious green and so healthy too! 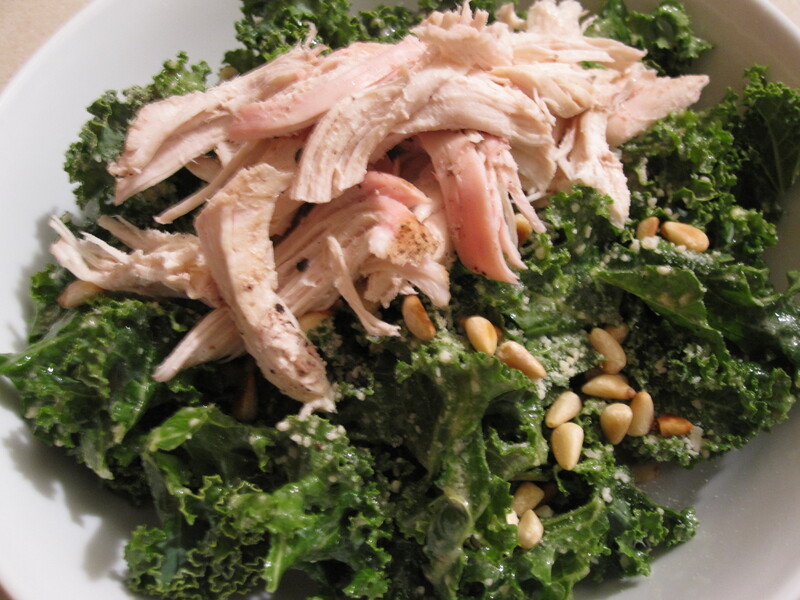 One of my favorite ways to have kale is in a cold salad, believe it or not. If I am feeling lazy, I’ll massage my torn-up kale pieces with some lemon juice, olive oil, salt/pepper and parmesan cheese. It’s quick, easy and quite tasty. Massaging the dressing into the leaves helps them wilt slightly and become much more palatable. This is a great option and all, but if I am truly inspired and have the ingredients on hand I make a fresh caesar dressing, which works perfectly with the kale and holds up to it’s bolder flavor and texture. MMM! 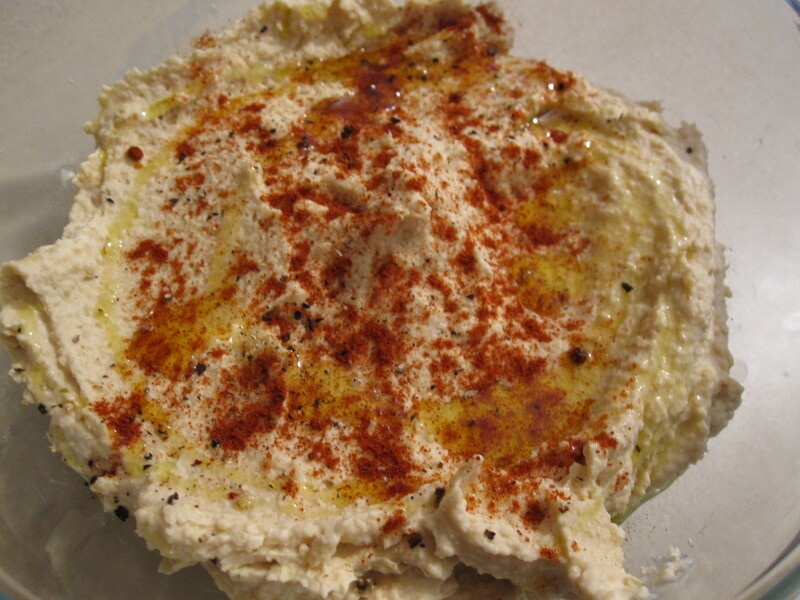 I love hummus and am especially lovin’ me some chickpeas these days. Greg happens to simultaneously be lovin’ roasted garlic these days so instead of plain hummus or edamame hummus I made roasted garlic hummus. 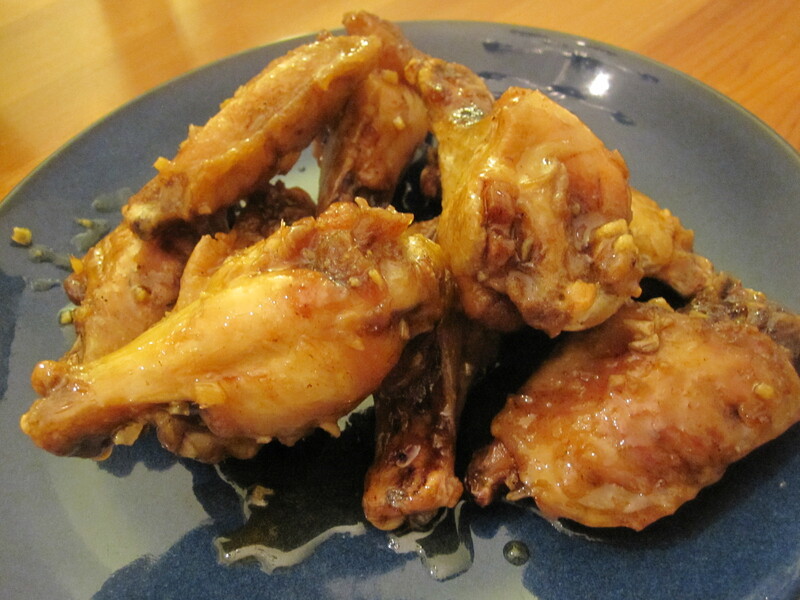 This recipe is very simple and a great idea for a super bowl party or any other get togther you may be planning. Oh, Summer… so sad to see it come to an end but luckily the produce from the summer crops are still going strong. We have been growing these lovely little tomatoes all summer and have been thoroughly enjoying them. One of our favorite ways to have them is with fresh basil and penn mac’s fresh mozzarella, extra virgin olive oil and balsamic vinegar. So simple, so good. 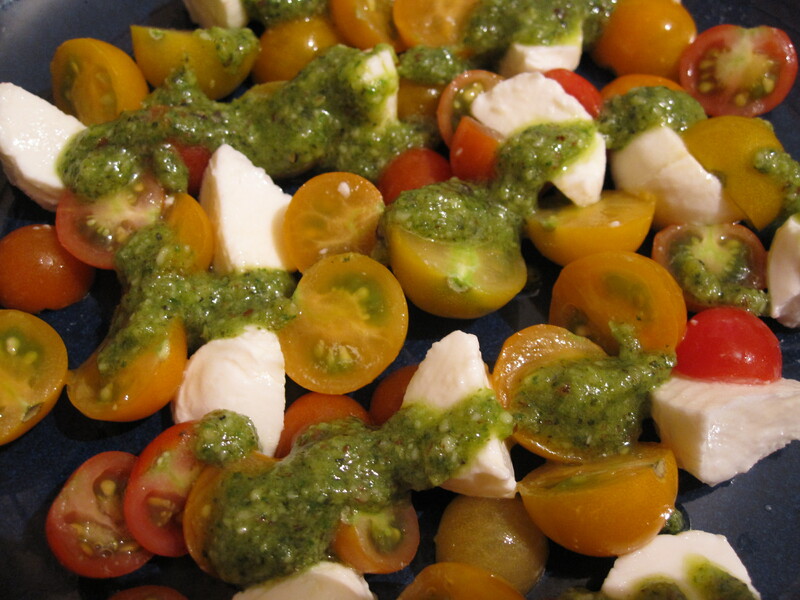 Recently, we received some ‘lemon-basil’ in our CSA and naturally a pesto came to mind. We’ve been in Pittsburgh for a whole year now and we have been loving it, especially all the great food! We have created some of our Pittsburgh favorites, such as pierogies and Italian Wedding Soup, both staples of many restaurants here, and here is another dish commonly seen on menus around town- fried zucchini. We had some fresh mozzarella in the fridge and zucchini and I decided to whip this up. It took all of about 15 minutes from start to finish and was delicious! I recently ordered a homemade mozzarella and ricotta making kit. 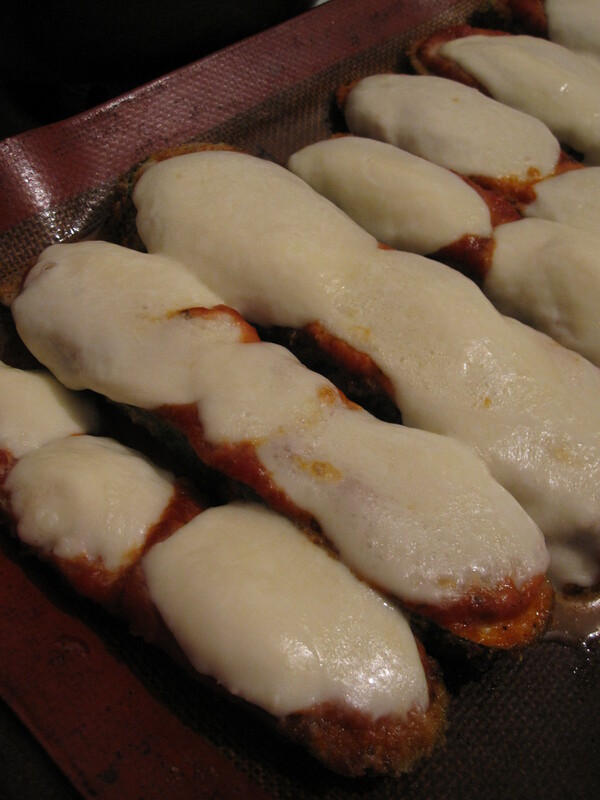 I have tried to make the mozzarella twice, and both times it has not quite worked out. The problem is that most standard grocery store milk has been pasteurized at too high of a temperature and the enzymes have been damaged and cannot form strong enough curds. I have just learned all of this by the way. So when this happens, it says to use the mixture as a cheese spread which I have used here to make finger sandwiches for a recent party. 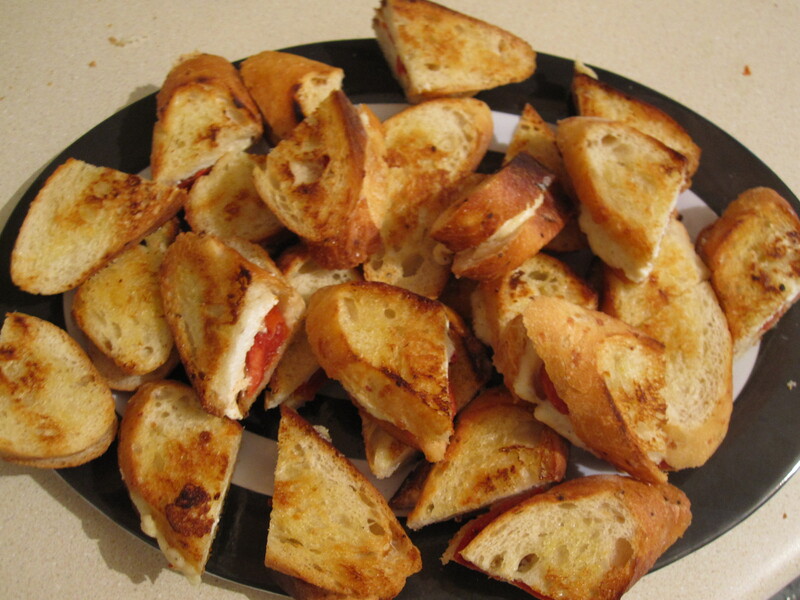 Look forward to a successful mozzarella post soon, but in the meantime….makeshift party finger sandwiches!